Cold joints are formed primarily between two batches of concrete where the delivery and placement of the second batch has been delayed and the initial placed and compacted concrete has started to set. 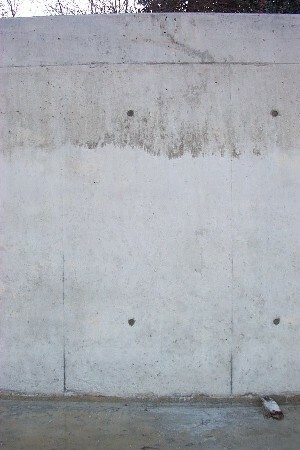 The full knitting together of the two batches of concrete under vibration to form a homogeneous mass is therefore not possible, unlike the compaction of two fresh workable batches of concrete. This could be a potential plane of weakness. 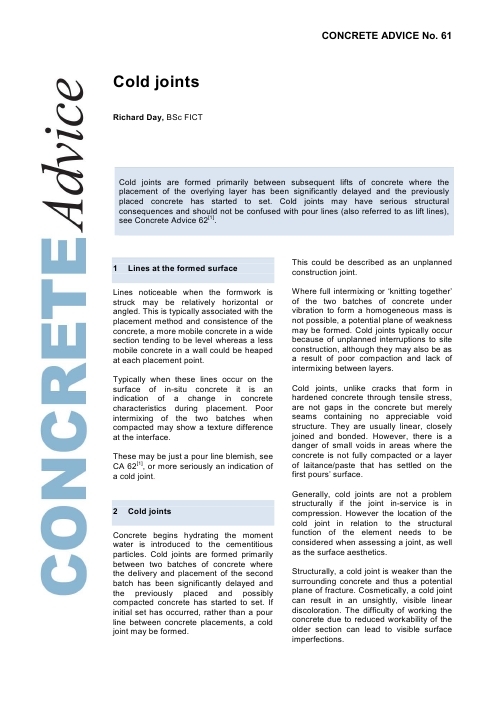 Cold joints, unlike cracks that form in hardened concrete through tensile restraint, are not gaps in the concrete but merely seams containing no appreciable void structure. They are usually linear, closely joined and bonded. However, there is a danger of small voids in areas where the concrete is not fully compacted, as with any concrete pour. Generally, cold joints are not a problem structurally if the joint is in compression. However, the location of the joint within the structure, the structural function of the element and aesthetics need to be considered when assessing a cold joint.